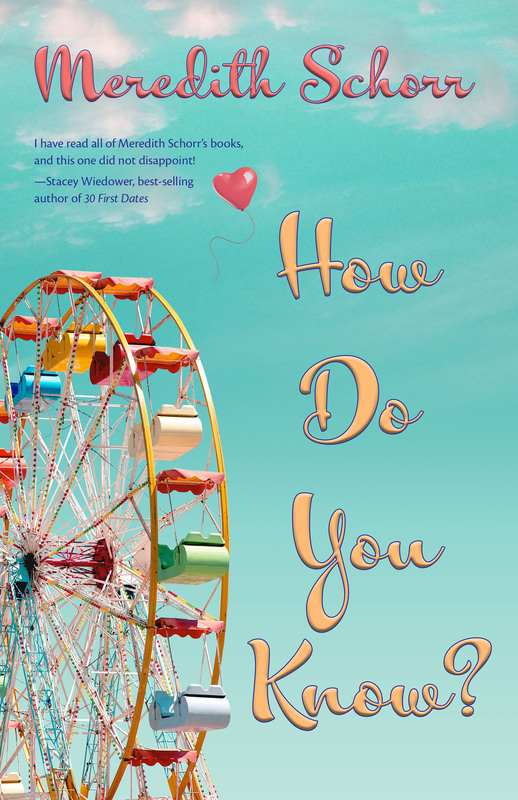 Kickoff to the Celebration of Chick Lit Tour and Cover Reveal! As the release of my fifth novel draws near, I’m gearing up for the Celebration of Chick Lit Tour happening right here on meredithschorr.com. I’ve invited authors of my favorite genre onto my blog to talk about why they read and write chick lit despite the naysayers and the folks who (wrongly) insist that “chick lit is dead.” The posts are landing in my in-box daily and as I read them, I nod and smile in agreement. I feel a kinship with these novelists. The main reason I write chick lit is because I often relate to the main characters in a way I don’t in other genres. Many of them are searching for their happily-ever-after and stumbling along the way—just like me. Sometimes they make bad decisions; often they trust too easily and get hurt or put their faith in the wrong person; and occasionally they don’t see what is right in front of them. Been there, done that. Usually protagonists in chick lit novels have some amazing friends who pick them up when they fall, commiserate over their failures, and drink to their successes. They sound like my friends! Family members often provide comic relief. Mine sure does. And sometimes the main character has no idea where she wants to go until she gets there. My life, too, is an ongoing journey of self-discovery. In short, reading a chick lit novel is like hanging out with a friend, and writing a chick lit novel allows me to give my friend the happily-ever-after she deserves. Sometimes the destination is not what she expected or thought she wanted, but it’s always what she needs. Like me, the main character in my upcoming novel, Novelista Girl, is a cheerleader for chick lit. Some of you will remember her from my third novel, Blogger Girl. 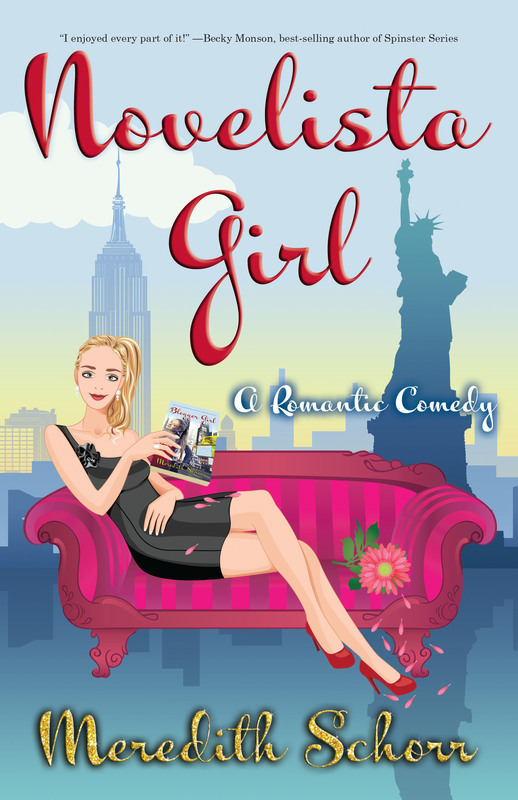 Although Novelista Girl is a follow-up to Blogger Girl, the books can be read and enjoyed separately. Stay tuned for the posts from my fellow chick lit authors right here over the next several weeks. In the meantime, for the very first time, I hereby present the blurb for Novelista Girl! When really bad, like tragic things happen, I often feel petty and more than a little guilty when I complain (even to myself) about what could be seen as minutiae in comparison. I remember when my late best friend was in the midst of chemotherapy and waiting every day for news on whether his blood cell count went up, it was the winter of my never-ending cold. I had cold symptoms daily for months—headache, sore throat, congestion et cetera. I would sit with an ice pack on my head at work! I hated complaining to Alan about it because, compared to leukemia, a cold is, well, a cold. But we spoke every day and it was impossible to keep it from him. He insisted I shouldn’t feel guilty for feeling sick—that my discomfort was valid, and it sucked in general to feel crummy. He would check up on me several times a day to see how I was feeling. I think it was probably a nice change of pace for him to be the caregiver – the one urging me to take it easy, skip the gym, get more sleep et cetera. Given what’s going on in Paris, I once again feel petty and more than a little guilty venting about my daily grievances, but doing so doesn’t make me any less grateful for the current well-being of me and my loved ones in an age where safety is not a given. And perhaps focusing on the annoying pesky problems might get my mind off of the grander issues of the day. Let’s see, shall we? For example, anyone else hate snail mail? It never stops coming!!! I can spend an hour on a Saturday morning going through it—shredding credit card offers, saving useful coupons, filing away correspondence related to my various financial accounts—and by the following Wednesday, like a lizard able to cast off a body part and regrow, the pile of mail replenishes itself. It’s impossible to make progress because it keeps replenishing! The last time I let it pile up, by the time I went through it, I found two expired checks. I’m a morning exerciser and take a 6:30 a.m. spin class several times a week. Just because I prefer to get my daily workout over with does not mean I’m a morning person. I repeat: DOES NOT MEAN I’M A MORNING PERSON. I’m an “I can stay snugly in bed all day person” who happens to have a very good workout ethic, so the last thing I want to do when I force myself out of my comfy bed is stand outside the entrance to the gym in the freezing cold because the person in charge didn’t bother to show up at six to open the door. This happens at least three times per winter. Logic would suggest that, unless I reside in a dormitory or youth hostel, if I live alone, I do not share a bathroom with anyone. Unfortunately for me, my life defies logic because I cannot take a shower at the same time as my neighbor unless I’m in the mood for third degree burns. If I wake up and hear my neighbor in the shower, I wait before getting in. I try to multitask by shaving my legs at the bathroom sink or laying out my clothes for the day. Clearly my neighbor doesn’t have this problem unless she’s a masochist because by some stroke of bad luck on my end, she frequently starts her shower right in the middle of mine, causing me to risk breaking my neck by jumping out as quickly as possible to avoid getting burned. Either that or two seconds before I’m about to climb in, I’ll hear the water start through the wall. I have been known to scream, “IT’S MY TURN! !” when this happens, but she doesn’t listen. Finally (at least for the purposes of this post), in the lobby of my building, carts are available to the residents so that we can bring luggage, groceries, furniture, and other heavy packages to our apartments in one trip. I’ve used the carts on several occasions and always bring the cart back to the lobby when I’m finished. I get so riled up when I walk into the elevator and there is an empty luggage cart with no one accompanying it. I wonder who the person who left it there expects to bring it from the elevator to the lobby. If she thinks I’ll do it, she’s … right. Ugh. I curse to myself that people can be so lazy and discourteous, and I mentally threaten to just leave it there—after all, I wasn’t the one who put it there—but I can’t do it. I’m a sucker. But I still think it’s rude. After airing out some of my non-life-altering grievances, I still don’t feel any better about the terrorist attack in Paris, but I’m even more excited for my upcoming vacation to the Caribbean when I’ll leave the rush-hour traffic, unstable showers, and lone luggage carts behind. If only visions of a full mailbox of snail mail upon my return would not dance in my head. Move over Sephora, we’re talking book makeovers! Every once in a while, I need to shake things up. For instance, I’ll switch up my pink lipstick for red, wear high heel boots instead of ballet flats, or even cut bangs. One time, I actually dyed my hair blonde. It wasn’t the result I had hoped for, but it was certainly a change. If I’m allowed to change my appearance on a whim, shouldn’t my books have the same opportunity? I certainly think so, which is why I gave my fourth book baby, How Do You Know? a cover change. Nothing within the pages has changed, it’s still the book that got five stars from Readers’ Favorite, Chick Lit Central, Chick Lit Plus, The Book Bag, The Book Chick, Books Etc. and more, but I think it just has a prettier face. And you can never be too pretty! What do you all think of the new cover? I hope you like it as much as I do!